That was the message from Labour Party leader Jeremy Corbyn when he spoke to UNISON’s national delegate conference in Brighton this morning. He had arrived in the hall with general secretary Dave Prentis to a standing ovation, cheering, singing and applause. When he left after his first major speech since the general election, it was – if possible – to an even greater ovation. 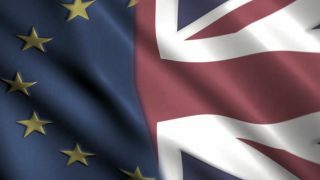 He began by praising the work that had plunged Prime Minister Theresa May into desperate haggling with the DUP in an effort to proper up her wobbling government. Labour had gained the local Kempton seat with a 10,000 majority he told the hall. The party’s vote had been increased across the south east and south west. There were now “no unwinnable seats for Labour”. Celebrating the election of former UNISON president Eleanor Smith, he described her taking a seat once held by Enoch Powell as “a cathartic process”. “Theresa May and the Tories are now weakened and divided,” he said. “She lost her majority and her political authority. Two weeks after the election, she still can’t form a government with the DUP. He described Labour’s performance as “a real advance for … working people across the country,” noting that it was a result of putting “popular policies centre stage”, offering a vision of a country “governed for the benefit of the many, not the few. 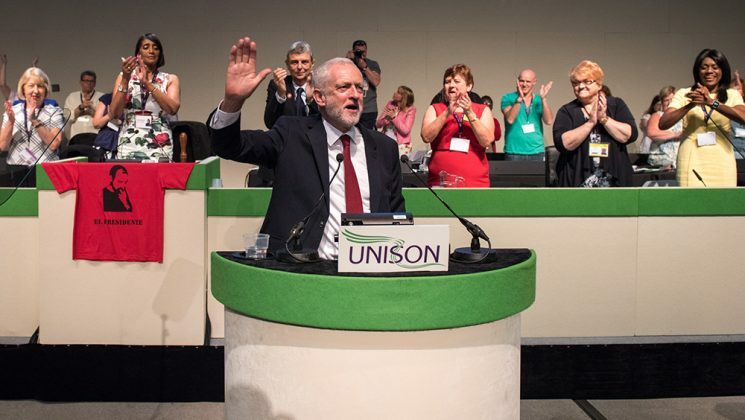 Mr Corbyn praised UNISON and its members for the work the union does every day – and thanked them too for the work at election times. Last week has shown how necessary change was, he said. The Grenfell Tower fire should never have happened. “Every single on of those deaths could and should have been avoided”. Paying tribute to the heroic public service workers who have rushed to help in recent terrorist attacks and at Grenfell, he noted that it was “not good enough to be grateful,” before reaffirming that a Labour government would end the public service pay gap and would invest once more in our services. Such a government would reinstate the NHS bursary to train nurses and would increase the number of police and firefighters who protect our communities. He also pledged to reinvest in homes, the NHS, social care and education. Mr Corbyn also said that Labour would “guarantee the rights of EU nationals working in the UK”. And as he told the hall that he believed that the next election would not be far away and would bring “cheers of hope,” delegates cheered him to the rafters and beyond.